Gaocheng Astronomical Observatory. It was built in 1276. 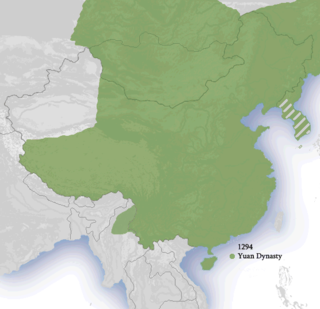 Dan, Duke Wen of Zhou, commonly known as the Duke of Zhou, was a member of the royal family of the Zhou dynasty who played a major role in consolidating the kingdom established by his elder brother King Wu. He was renowned for acting as a capable and loyal regent for his young nephew King Cheng, and for successfully suppressing the Rebellion of the Three Guards and establishing firm rule of the Zhou dynasty over eastern China. He is also a Chinese culture hero credited with writing the I Ching and the Book of Poetry, establishing the Rites of Zhou, and creating the yayue of Chinese classical music. Dengfeng is a county-level city under the jurisdiction of Zhengzhou, the capital of Henan Province, China. In ancient times, it was known as Yangcheng. It is believed that the Duke of Zhou (c. 1042 BC) had erected at this place a Ceyingtai (observatory measuring the shade or gnomon) to observe the Sun. His interest in mathematics, astronomy/astrology is reported in the Zhoubi Suanjing. A gnomon is the part of a sundial that casts a shadow. The term is used for a variety of purposes in mathematics and other fields. The Zhoubi Suanjing, or Chou Pei Suan Ching (周髀算经), is one of the oldest Chinese mathematical texts. "Zhou" refers to the ancient Zhou dynasty (周) c. 1046–771 BCE; "Bi" means thigh and according to the book, it refers to the gnomon of the sundial. The book is dedicated to astronomical observation and calculation. "Suan Jing" or "classic of arithmetic" were appended in later time to honor the achievement of the book in mathematics. 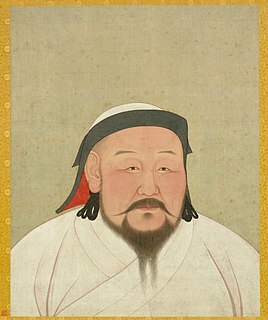 The astronomer Yi Xing (683–727) of the Tang Dynasty built 20 standardized gnomons spread out over China to measure the equation of time dependent on the geographical location. Following a proposition of Liu Zhuo from 604 AD, 10 of these were aligned along the meridian 114° east of Greenwich from Central Asia down to Vietnam in order to determine the circumference of the Earth and derivations from a perfect sphere. One of these 10 observatories was situated at Gaocheng. The observations were used to establish the Da Yan calendar. Yi Xing, born Zhang Sui, was a Chinese astronomer, mathematician, mechanical engineer and Buddhist monk of the Tang dynasty (618–907). His astronomical celestial globe featured a clockwork escapement mechanism, the first in a long tradition of Chinese astronomical clockworks. The equation of time describes the discrepancy between two kinds of solar time. The word equation is used in the medieval sense of "reconcile a difference". The two times that differ are the apparent solar time, which directly tracks the diurnal motion of the Sun, and mean solar time, which tracks a theoretical mean Sun with uniform motion. Apparent solar time can be obtained by measurement of the current position of the Sun, as indicated by a sundial. Mean solar time, for the same place, would be the time indicated by a steady clock set so that over the year its differences from apparent solar time would resolve to zero. South of the observatory, in the temple dedicated to Zhou Gong can be found a Shigui chart made by Yi Xing. According to the Zhou Li (Rites of Zhou) this place is the center of the Earth. 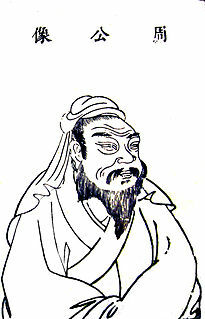 The Rites of Zhou, originally known as "Officers of Zhou" is actually a work on bureaucracy and organizational theory. It was renamed by Liu Xin to differentiate it from a chapter in the Book of History by the same name. To replace a lost work, it was included along with the Book of Rites and the Etiquette and Ceremonial – becoming one of three ancient ritual texts listed among the classics of Confucianism. The great observatory was built in 1276 in the early Yuan dynasty on the order of Kublai Khan and was used by Guo Shoujing (1231–c.1215) and Wang Xun (1235–1281) to observe the movement of the sun, the stars and record time. Guo Shoujing, courtesy name Ruosi (若思), was a Chinese astronomer, engineer, and mathematician born in Xingtai, Hebei who lived during the Yuan Dynasty (1271–1368). The later Johann Adam Schall von Bell (1591–1666) was so impressed with the preserved astronomical instruments of Guo that he called him "the Tycho Brahe of China." Jamal ad-Din (astronomer) cooperated with him. It was built of stones and bricks. It has two parts: the body and shigui (also called the ruler to measure the sky). It is 9.46 meters high by itself, and 12.62 meters high if the 2 cabinets on the top are included. The somewhat unconventional gnomon is a bar mounted horizontally between the 2 cabinets. The shigui extending to the far north is 31.19 meters long and 0.53 meters wide. It is made up of 36 square stones with two parallel waterways on it to check its levelness. The location of shigui is in accordance with the direction we take today to measure the meridian. During measurement, a beam is put across the grooves. Jingfu (an instrument with many holes) on the waterways is used to measure the shade, whose precision is within 2 millimeters. At winter solstice, the length of the shadow at noon is nearly as long as the shigui. The very precise observations served for the new Shoushi calendar (Season-Granting Calendar) of 1281, which was in use for 364 years. The length of the tropical year was determined to 365 d 5 h 49 m 20 s, a value in accord with the value of the Gregorian Calendar, but obtained 300 years earlier. In 1787, Laplace applied these measurements to check his calculations on the secular changes of the obliquity of the ecliptic and the eccentricity of the Earth's orbit. It is the first in a series of 27 observatories built in the early Yuan dynasty. The traditional China calendar, or Former Calendar, Traditional Calendar or Lunar Calendar, is a lunisolar calendar which reckons years, months and days according to astronomical phenomena. It is defined by GB/T 33661-2017, "Calculation and promulgation of the Chinese calendar", issued by the Standardisation Administration of China on 12 May 2017. Chinese astrology is based on the traditional astronomy and calendars. 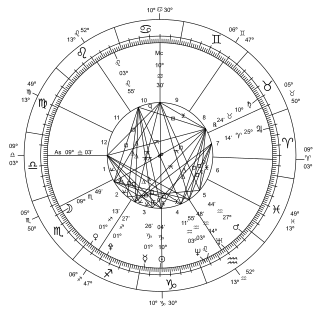 The development of Chinese astrology is tied to that of astronomy, which came to flourish during the Han Dynasty. 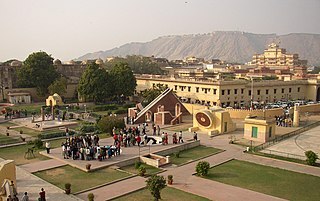 The Jantar Mantar monument in Jaipur, Rajasthan is a collection of nineteen architectural astronomical instruments built by the Rajput king Sawai Jai Singh II, and completed in 1734. It features the world's largest stone sundial, and is a UNESCO World Heritage site. It is located near City Palace and Hawa Mahal. The instruments allow the observation of astronomical positions with the naked eye. The observatory is an example of the Ptolemaic positional astronomy which was shared by many civilizations. Solar physics is the branch of astrophysics that specializes in the study of the Sun. It deals with detailed measurements that are possible only for our closest star. It intersects with many disciplines of pure physics, astrophysics, and computer science, including fluid dynamics, plasma physics including magnetohydrodynamics, seismology, particle physics, atomic physics, nuclear physics, stellar evolution, space physics, spectroscopy, radiative transfer, applied optics, signal processing, computer vision, computational physics, stellar physics and solar astronomy. Taosi is an archaeological site in Xiangfen County, Shanxi, China. Taosi is considered to be part of the late phase of the Longshan culture in southern Shanxi, also known as the Taosi phase. Islamic astronomy comprises the astronomical developments made in the Islamic world, particularly during the Islamic Golden Age, and mostly written in the Arabic language. These developments mostly took place in the Middle East, Central Asia, Al-Andalus, and North Africa, and later in the Far East and India. It closely parallels the genesis of other Islamic sciences in its assimilation of foreign material and the amalgamation of the disparate elements of that material to create a science with Islamic characteristics. These included Greek, Sassanid, and Indian works in particular, which were translated and built upon. The Nine Emperor Gods Festival is a nine-day Taoist celebration beginning on the eve of 9th lunar month of the Chinese calendar, nine-emperor-gods-festival-celebrated-with-primarily in Southeast Asian countries such as, Malaysia, Thailand and Indonesia by the Peranakans. 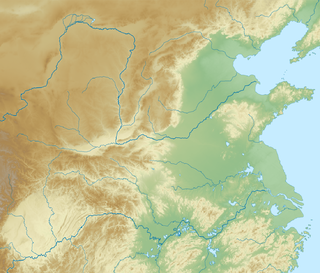 Nanxun District is a district in the prefecture-level city of Huzhou, Zhejiang province, China. Nanxun Town (南浔镇), an old town, is located in the district. It is one of the most well-preserved old towns in this region and is known for its cultural heritage. Other towns in the district include Shuanglin, Lianshi, Linghu, Shanlian, Qianjin and Shicong. Maragheh observatory, was an institutionalized astronomical observatory which was established in 1259 CE under the patronage of the Ilkhanid Hulagu and the directorship of Nasir al-Din al-Tusi, a Persian scientist and astronomer. Located in the heights west of Maragheh, which is today situated in the East Azerbaijan Province of Iran, it was once considered "the most advanced scientific institution in the Eurasian world". 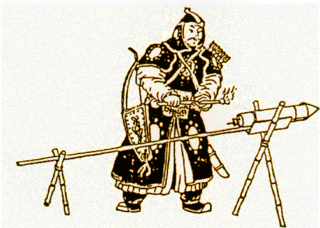 Wei Pu was an 11th-century Chinese astronomer of the Song Dynasty. He was born a commoner, but eventually rose to prominence as an astronomer working for the imperial court at the capital of Kaifeng. Wei became a trusted colleague of the famous statesman and scientist Shen Kuo, who served as the head official for the Bureau of Astronomy, and worked on various projects with Wei Pu. Fawang Temple is a Chinese Buddhist temple located 5 km (3.1 mi) northwest of the town of Dengfeng in Henan province, China. The temple is situated at the bottom of the Yuzhu Peak of Mount Song. This ancient temple features Chinese pagodas that were built during the Tang Dynasty (618–907). The most prominent of these early Tang era pagodas is a 40 m (131 ft) tall square-based stone tower with eaves, its ground floor measuring 7 m (23 ft) on each side with 2 m (6.5 ft) thick walls. Inside this pagoda is a shrine and a jade statue of the Buddha that was presented to the pagoda in 1409 by a member of the royal family stationed in Luoyang during the Ming Dynasty. This pagoda follows the similar design style of other Tang pagodas, such as multi-eaved, square-based Xumi Pagoda and Small Wild Goose Pagoda. Other Tang pagodas include three one-story pavilion style brick pagodas, each about 10 m (32 ft) high. Each one of these is capped with a conical roof with arc eaves. Other pagodas of the temple were built during the Yuan Dynasty (1271–1368). The Gnomon of Saint-Sulpice is an astronomical measurement device located in the Church of Saint-Sulpice in Paris, France. It is a gnomon, a device designed to cast a shadow on the ground in order to determine the position of the sun in the sky. In early modern times, other gnomons were also built in several Italian and French churches in order to better calculate astronomical events. Those churches are Santa Maria del Fiore in Florence, San Petronio in Bologna, and the Church of the Certosa in Rome. These gnomons ultimately fell into disuse with the advent of powerful telescopes. ↑ Centre, UNESCO World Heritage. "Historic Monuments of Dengfeng in "The Centre of Heaven and Earth"". whc.unesco.org. Retrieved 2017-08-19.